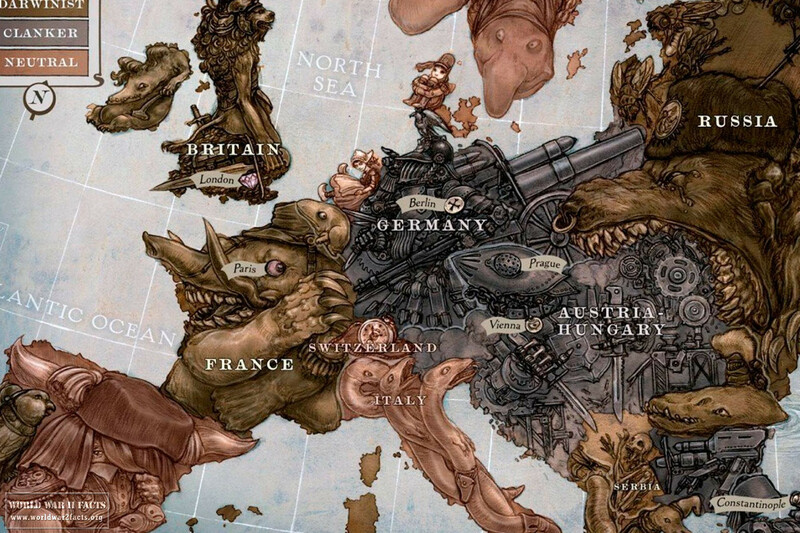 World War 2 broke into open conflict due to the military aggression of Germany and Japan, when Germany invaded Poland in 1939 and Japan struck against China in 1937. The causes of World War 2, and background to these events is considerably complex, and it is important to understand the key facts and situations that lead to global war. Fundamentally, the war has its roots in the military expression of the political philosophies of two men: Adolf Hitler, who needs no introduction, and the much less well known Sadao Araki, a top general in Japan’s Imperial Army before the war. 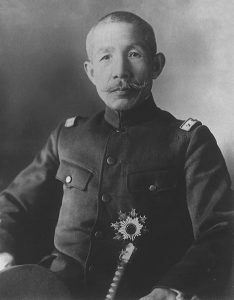 Araki was the premier right-wing theorist in Imperial Japan. 10 What About the League of Nations? rest of the world. Natural resources around the Pacific were mostly under the control of Western colonial powers and the Japanese were cut off from trade. This exasperated Japan’s economic woes, and caused considerable civil discontent. 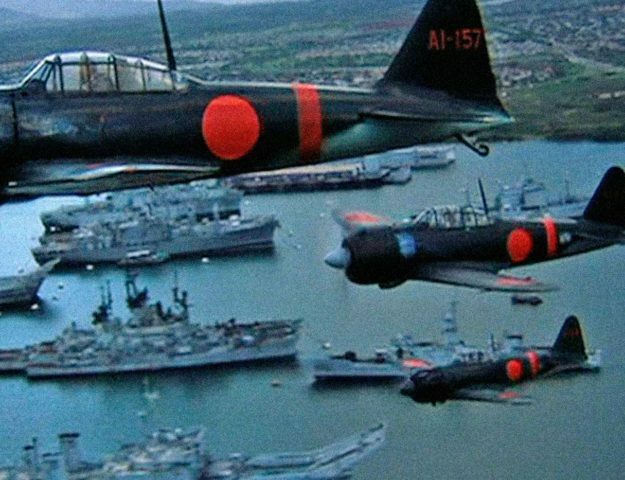 There was a strong feeling in Japan that an aggressive military expansionist policy was the only way to break out of their unfortunate economic situation and was one of the leading causes of World War 2 in the Pacific. The people lost faith in the civil government and turned towards the army. Araki and his followers were known as the Imperial Way Faction. As well as a fundamental belief in the supreme rule of the Emperor, they also merged the ancient “bushido” way of the samurai with the Fascist ideals that were starting to rise up in Europe to create a new, right wing way of thinking that was in tune with the beliefs of much of the Japanese people at the time. In 1931 the Japanese launched their invasion of Manchuria, a region of China. With its rich natural resources it was seen as an important strategic target. The army took it upon themselves to invade Manchuria, in direct violation of orders from the civil government in Tokyo. Over the next six years the Japanese army came to dominate the Japanese government, and Araki’s aggressive and expansionist Imperial Way Faction began to dominate the army. They continued to expand into China, leading to all-out war by 1937. The United States had considerable economic interests in China at the time, and Japanese aggression began to affect these interests. Public opinion in the US was also starting to turn against the Japanese. As well as economic issues, the American public was horrified by reports of humanitarian atrocities such as the Nanking Massacre. Relations between the US and Japan were incredibly strained, and war started to seem inevitable, although at the time it wasn’t reckoned to be imminent. Japan continued its expansionist policy, moving into French Indochina. By July 1941, the American government felt it had no choice other than to impose crippling economic sanctions, freezing all assets in the US and halting the export of oil to the Japanese. The British and Dutch authorities followed suit, leaving Japan with no supply of oil. The American’s issued an ultimatum. Either they retreat from China, or they would continue to deprive the Japanese of oil. The Japanese saw this as an act of aggression. They had no source of oil within their territories, and few reserves. To acquiesce to the Americans and retreat from China was unthinkable. To them, there was only one option available: an invasion of the oil rich Dutch East Indies. However, they knew that to achieve that aim they would have to severely diminish the power of the US navy in the Pacific. 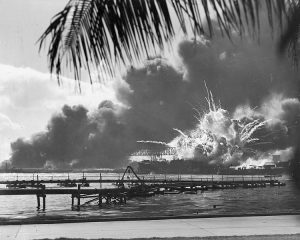 This lead to the attack on Pearl Harbor on December 7th, 1941, and the beginning of hostilities in the Pacific Ocean theatre in World War Two. Meanwhile, in Europe, war had been raging for over two years. 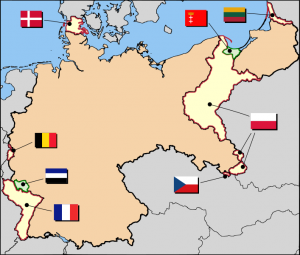 Germany had provoked the allies with their annexation of neighboring territories and again the initial motivations for aggressive territorial expansion were primarily economic. The Great Depression had a profound effect on Germany hard, but another important factor restricting the economy of Germany in the 1930s was the Treaty of Versailles. Final German territorial losses after WWI. difficult economic climate, this necessitated an almost unbearable austerity among the German people. Understandably the Germans felt the consequences of the treaty were exceptionally harsh. They felt it was unfair that they should have to suffer so much. In this harsh climate they were particularly receptive to extremist politics. Adolf Hitler’s Nazi party promised the German people that they would tear up the Treaty of Versailles. When they were voted to power in 1933 they immediately began to ignore it. As things improved economically in Germany, it became easier for Hitler to cement his grip on power. He achieved absolute control over Germany very quickly. Military expansion was at the heart of Hitler’s philosophy and was another leading cause of World War 2. He had a strong belief in the innate superiority of the German people. He also believed that the German’s deserved “lebensraum”, meaning expanded geographic space to develop and grow as a society. Germany also lost a lot of territory as a result of the Treaty of Versailles, and Hitler was determined to get it back. As well as violating the economic principles of the treaty, he also began defying the military restrictions. The treaty placed strict limits on the size of the German armed force, which Hitler quickly breached. 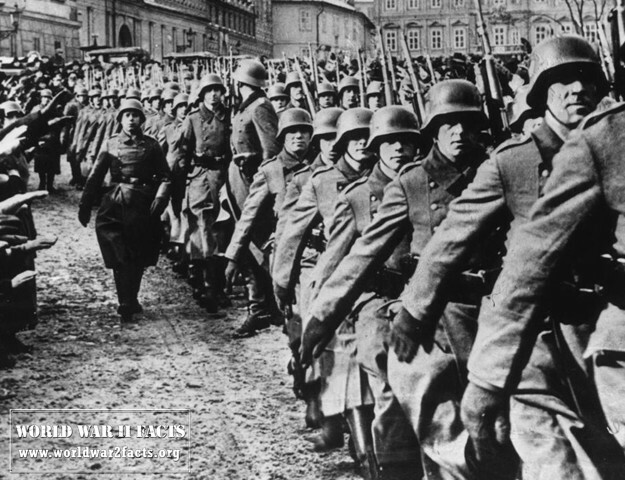 In 1936 German forces marched in to take the Rhineland, territory that they had previously lost. The Germans continued their militaristic territorial expansion, first going into Austria then Czechoslovakia. While certain elements of British and French political society felt that the Treaty of Versailles was too harsh, and sympathized with Hitler’s aims, they felt that this time he had gone too far. While they weren’t prepared to declare war right away, they felt they had to issue him an ultimatum under the policy of appeasement. The British and the French governments declared that if Hitler invaded Poland, they would have no choice but to declare war. British prime minister Neville Chamberlain believed that Hitler wouldn’t defy the ultimatum and risk war. He was wrong. The Germans invaded Poland on the 1st of September 1939, and war in Europe had officially begun signifying the failure of appeasement and the start of World War 2. What About the League of Nations? The League of Nations was founded as one of the outcomes of the Paris Peace Conference which ended World War 1. The League was the first permanent organization which had the primary mission of keeping the peace world-wide. The means to prevent wars was to be through collective disarmament and solving disputes through arbitration and if need-be, economic sanctions. Between September 1934 and February 1935, the league had a maximum of 58 member states. Notably, the United States and Germany were not members of the League. Unfortunately, during the build-up to the start of World War 2, the League proved insufficient in preventing the aggression by Japan and Germany in the 1930s. Some of the reasons for this failure include: not all countries in the world were members, the League did not have a dedicated army or armed forces, and it relied on the member nations to enforce economic sanctions. After the end of World War 2, the League of Nations would be replaced by the United Nations (UN). Bell, P. M. H. The Origins of the Second World War in Europe. (1986). 326 pp. Suppan, Arnold, Austrians, Czechs, and Sudeten Germans as a Community of Conflict in the Twentieth Century, 2006, Last Viewed: 15 January 2014. The New Year 1939/40, by Joseph Goebbels, Calvin.edu, Last Viewed: 15 January 2014. 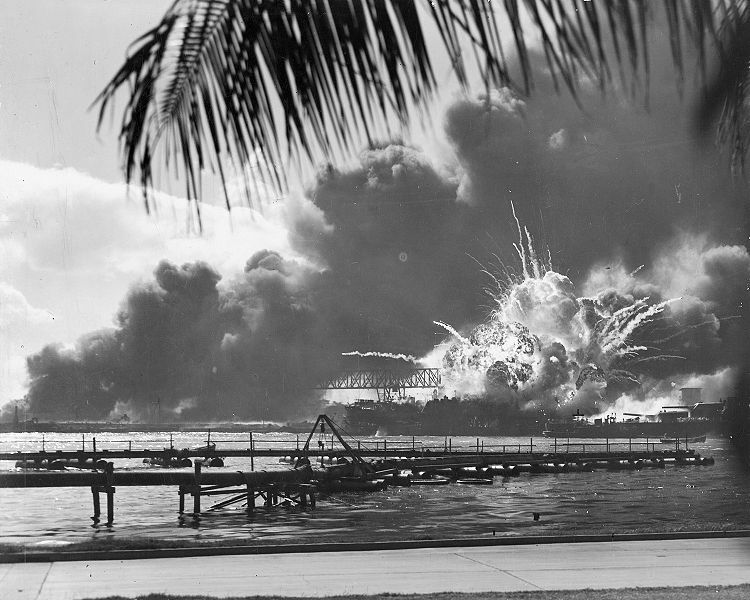 The Way to Pearl Harbor: US vs Japan, American.edu, (Images appear broken), Last Viewed: 14 January 2014. 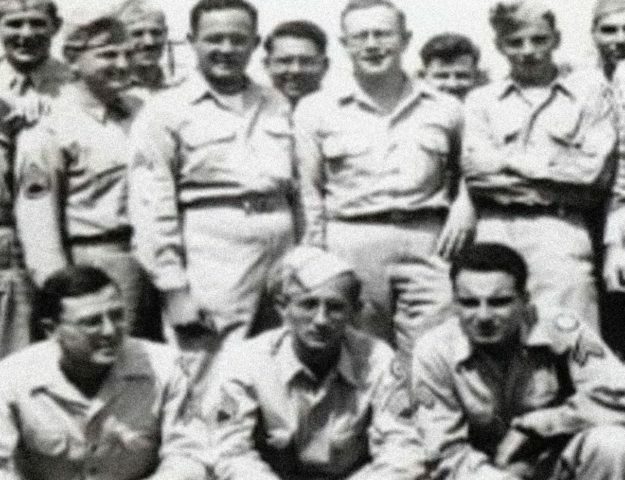 Why Did World War II Break Out?, An online lecture by Prof. Yehuda Bauer, Last Viewed: 15 January 2014. 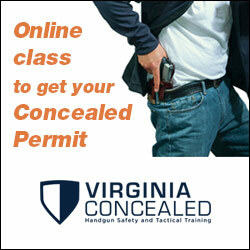 World War 2 Teacher Resources, USHistorySite.com, Last Viewed 15 January 2014.